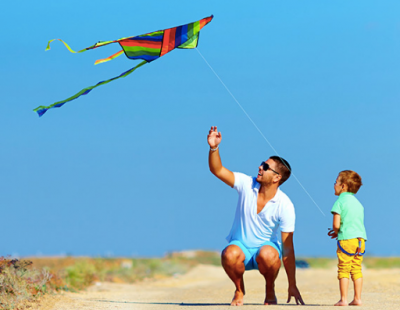 Are you looking for the perfect building lot to build your dream home? Crown Isle Golf Course and Community has current and future building lots for sale. One of their most established areas, Hampton Gate, is Crown Isle's only gated, single family subdivision. Hampton Gate has only four building lots left for sale, ranging in price from $239,900 to $299,900. Tucked away in a private cul-de-sac off of Crown Isle Drive, you can choose an internal lot or a scenic fairway lot which looks onto the 17th hole of the golf course. Looking for an experienced premier builder? Homes by Crown Isle is the perfect choice to build your new home having built the majority of homes in Hampton Gate. Now is the time to contact us to select one of the four remaining lots for sale. All five of the preferred builders at The Ridge in South Courtenay are busy building new homes at The Ridge. 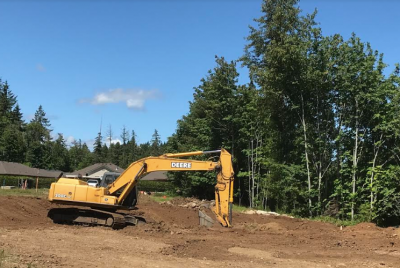 This is a busy summer construction season at this ocean and mountain view master-planned development in the Comox Valley. These new homes come in many designs, including ranchers/bungalows, two-storey homes, homes with secondary suites and homes with walk out basements. Most of them feature stunning views. Construction is now underway for two bungalow style homes in Phase 4 of The Ridge at RiversEdge, a quiet location by the Puntledge River in Courtenay, BC. The new homes will be 1,600 and 1,900 square feet in size and are on situated on large lots in the beautiful Comox Valley. 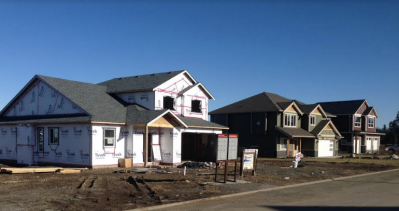 These rancher style homes are expected to be completed in late summer of 2018. Ten lots will be built on in this phase and an additional 10 homes are expected to be built to complete this 20-lot subdivision. The developer will be building on all the lots in this project. The Ridge at RiversEdge is a well-established development with many phases having been completed over the past several years. Vancouver Island is a famous golf destination and the summer season brings out the best conditions to hit the links. 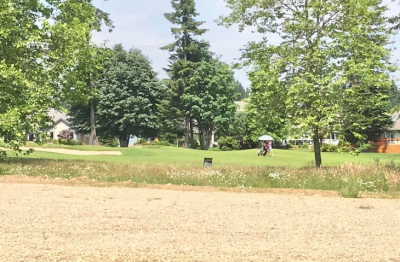 Located conveniently in the middle of the action, the real estate development of The Gales in the Town of Ladysmith offers easy access to golf courses in Victoria, Nanaimo and between. 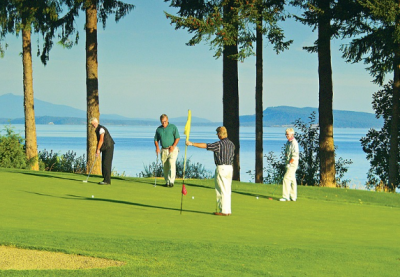 Some of these courses are renowned members of the Vancouver Island Golf Trail, including Bear Mountain, Arbutus Ridge and the Cowichan Golf Club, while still others offer family friendly options, waterfront signature holes, and peaceful forested fairways. From your home base in Ladysmith, you can also launch a kayak from a beach or boat launch after your golf round! Living at your new home at The Gales in Ladysmith, you'll be close to the action. Or choose to relax and soak in the sunshine from your ocean view decks. Budget Blinds of the North Island is having a sale on Lutron shades this June. Enjoy these energy-saving shade solutions in your home and save the tax this month. You’ll also receive a free lighting control bundle with every purchase and a free Lutron Light Bridge Pro with purchases over $1,000. 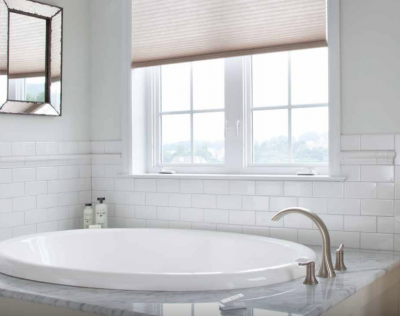 Lutron shades allow natural light to warm your home in the winter, while blocking out the heat in the summer months. They can also be used to protect furniture, artwork, flooring and more from the sun’s damaging rays. With Lutron’s automation systems, you can set your blinds to adjust automatically throughout the day, providing better security and light regulation throughout your home. Looking for a different product? Budget Blinds will pay the tax on every order in June, so now is the time to save on the right window coverings for your home. Contact Budget Blinds of the North Island to arrange an in-home consultation or visit their showroom at 8 - 2663 Kilpatrick Avenue in Courtenay. 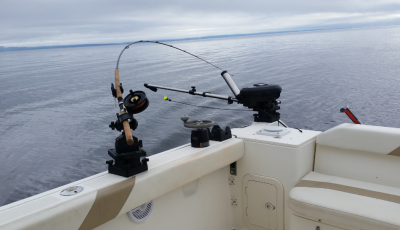 From that showroom consultants serve the Comox Valley, Campbell River and the North Island. Call them at 250.338.8564 or request a free in-home consultation online.